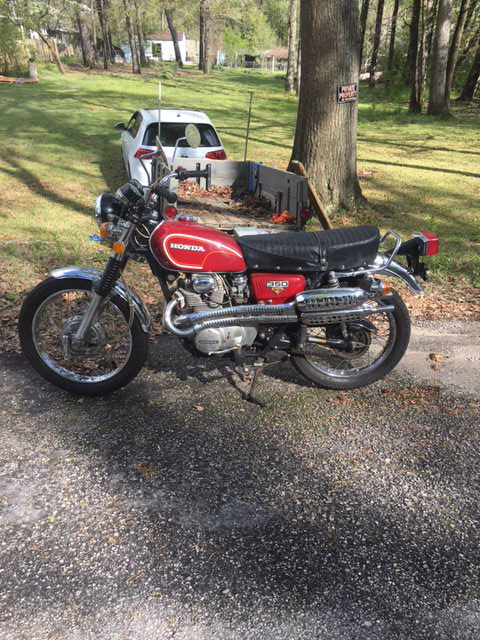 I just bought a 1973 Cl350. Pretty good condition. Ran poorly, but I adjusted the valves and swapped the points and set the timing. Runs well now. 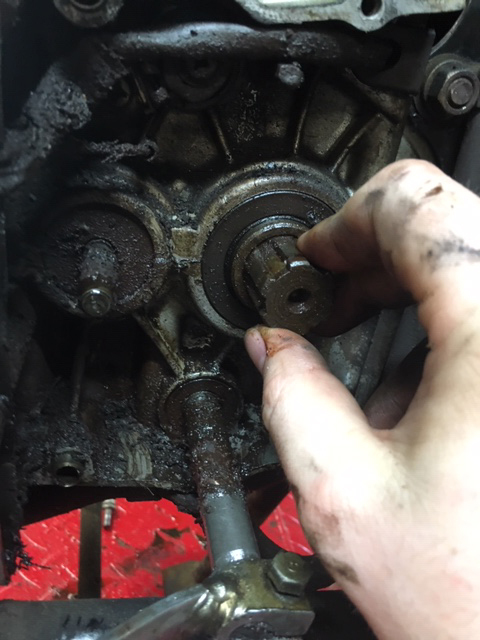 I don't like how much slop is in the output shaft of the transmission. Is this normal? A couple of pictures, because I know you guys want pics. 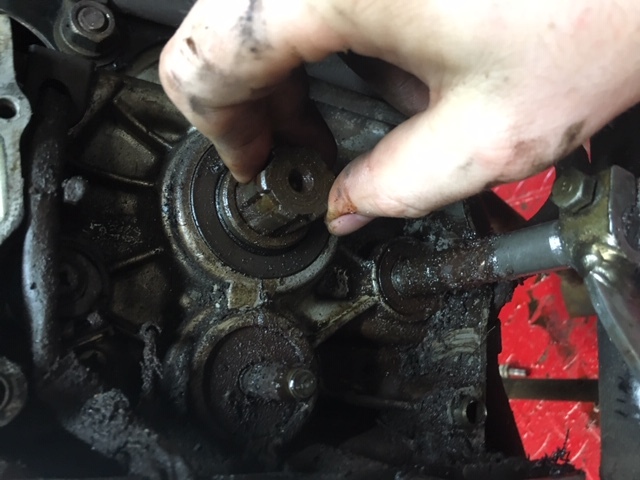 I have a video of the slop in the output shaft, but don't know how to post the video. For some reason, its posting the pictures sideways even though I've rotated them on my computer first. Any thoughts on the output shaft play would be appreciated. Best to clean out the area and then ride and check. If something is leaking you will get a good idea where. Sorry, by slop, I mean there is a lot of play in the output shaft. More than what I think should be there. Looks like that might be a 1972 tank. Yeah, someone has changed out the tank. Has the right side cover badges with the black on white (350) plus the grab bar in the rear. Wonder how much slop you mean? Fixed the pics. 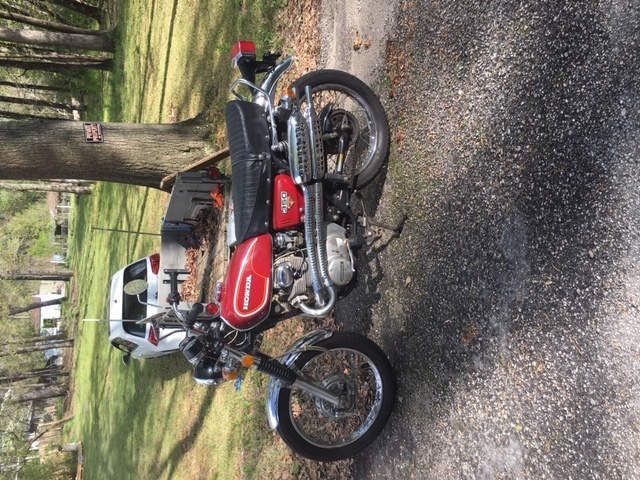 Ok. Weird that it has a 72 tank. only had 10350 miles on it when I bought it. Remarkably good condition as well. Doesn't seem to have been wrecked. I now see that there is an option to upload a video on here. I will upload a video when I get home of the play in the shaft. Its shifting just fine. I've put a few hundred miles on it already. video below of the play in the shaft. I'll get on the introduction! Thanks. Its weird. None of my other bikes do that at all. I guess its just something to get used to.